San Francisco Sheriff Ross Mirkarimi gets to keep his job. After a long session that included public comment from dozens of people, San Francisco supervisors voted to reinstate Mirkarimi. The vote came down just before 11 p.m. Tuesday night. Four of 11 supervisors voted for reinstatement, saying while what Mirkarimi did was wrong, the city charter is too narrow to support removing him from office for official misconduct. Mayor Ed Lee suspended Mirkarimi in March after Mirkarimi pleaded guilty to misdemeanor false imprisonment in connection to a Dec. 31 incident in which he grabbed his wife's arm, causing a bruise. 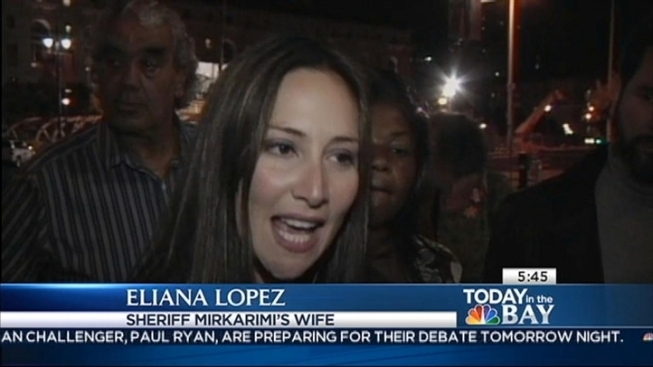 Mirkarimi and his wife Eliana Lopez left the Board of Supervisors' meeting together. Ross Mirkarimi will be reinstated as San Francisco's sheriff after three members of the city's Board of Supervisors declined to uphold official misconduct charges against him. "I think the inspiration of so many friends and particularly my wife...we hung in there," said Mirkarimi. "I think now the message is like, to work in a healthy way," said Lopez. "To help the family to be together. To help my son have a better father; a better mother and have a better husband. I think that is the best of this and I think it is how we can eradicate domestic violence of our society." Following the vote, Mayor Lee issued a statement, saying he "strongly" disagrees with the actions taken. "The Board's decision returns a convicted domestic batterer to lead the Sheriff's Office, and I am concerned about our City's nationally-recognized domestic violence programs," said Lee in his statement. "Domestic violence has no place in our City, will ever be considered a private family matter, and will never be tolerated. We will move forward from these official misconduct proceedings recommitting ourselves to standing up for women and families." For his part, Mirkarimi says he will reach out to the mayor. "But now as sheriff, I return back to some of those policies hoping that through mending fences with the Mayor, with [domestic violence] advocate and organizations and anyone else for that matter that we can continue to forge and foster that kind of collaboration that we would all want." Mirkarimi has not collected a paycheck since his suspension in March. 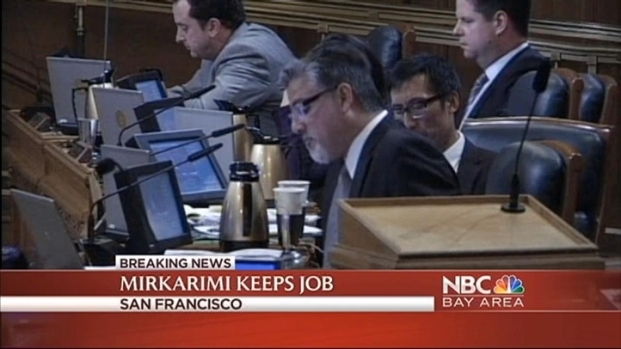 His lawyer says Mirkarimi will get back pay.